A bright and well-presented traditional corner one bedroom apartment situated within walking distance to the city centre. 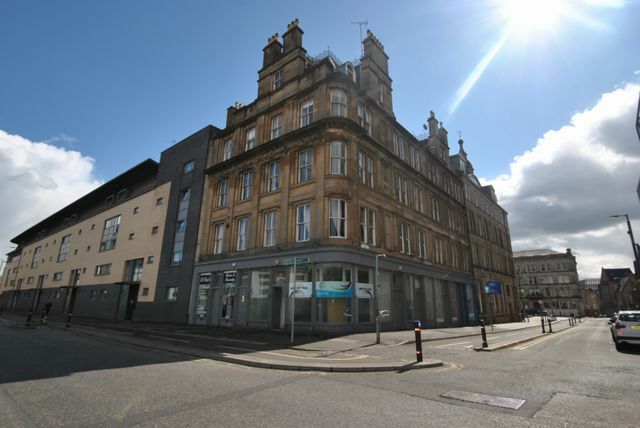 The attractive sandstone building sits on the corner of London Road and James Morrison Street opposite the Barrowland landscaped park. The accommodation on the first floor comprises hallway, a bright lounge with exposed brickwork, a fitted kitchen with a range of units and appliances, a bedroom with fixed mezzanine level creating extra space below and with fitted storage, and a bathroom with three piece suite with overhead electric shower and built-in storage. The property further benefits from secure door entry system and electric central heating. Within walking distance to the Merchant City hosting a wide array of bars, restaurants and cafes, shops and grocery stores. Glasgow Green is a short walk away and the property is well placed for many of Glasgow's colleges and universities.